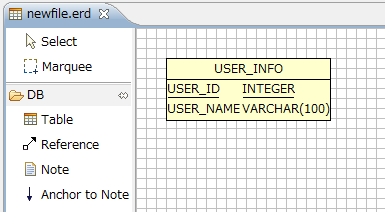 You can choose H2 as a database type at the new ERD creation wizard. 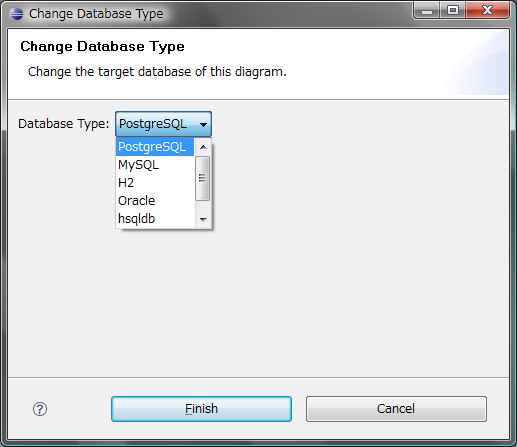 Database dialect could be selected in only the diagram creation wizard. You can switch dialect after creating a diagram from the context menu in AmaterasERD 1.0.7. When you create foreign key, AmaterasERD select columns which have a same name as primary key columns of the target table. If AmaterasERD can't find them, it add columns which reference primary key columns automatically. HTML report now contains referenced tables. Logical <-> Physical converting is an experimental feature in this release. So it would be changed in the future release. For example, a dictionary that is used to translate would be customizable. 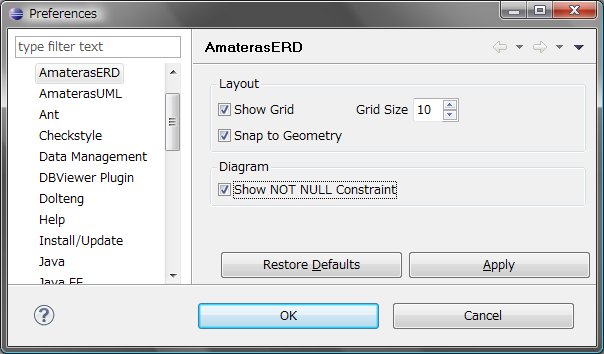 You can configure AmaterasERD to show NOT NULL constraint in the Eclipse preference dialog. You can switch grid / snap to geometry in the Eclipse preference dialog. Adjustment of position becomes easy by enabling these features. 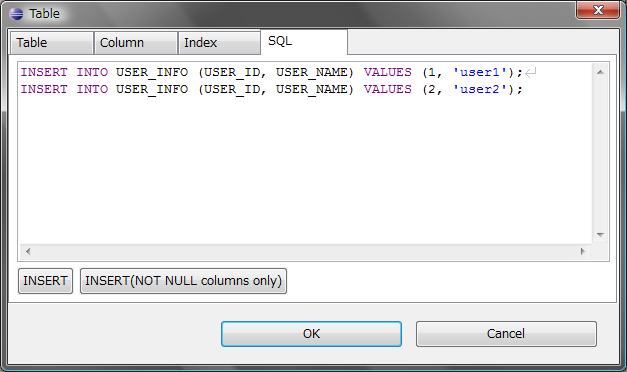 SQL Highlighting in the SQL tab of the table editing dialog. AmaterasERD 1.0.8 supports DB2 and MS SQLServer.